Munich, September 19, 2011 – In June 2012 Achim Schloeffel aims to deliver proof that the tools for technical diving are now mature enough to complete a dive under the English Channel from Dover to Calais without a surface break. By becoming a project ambassador for the last population of bottlenose dolphins in the North Sea, he aims to raise in addition awareness for the threat oceans are facing from pollution and noise. After the summer break Achim Schloeffel is back and continues the preparations for the world record attempt in diving through the English Channel. He has used the break to sign a cooperation agreement with the international Whale and Dolphin Conservation Society WDCS. Under the umbrella of the world record attempt Achim Schloeffel becomes a project ambassador to protect a population of bottlenose dolphins in the North Sea and collects donations for renowned non-profit organisation WDCS. The Moray Firth is the largest embayment in the northeast of Scotland and home to a small population of resident bottlenose dolphins, consisting of 130 animals. Dolphins in this area are subject to studies for 20 years already to protect them from any potential threats. Small and isolated populations are easily threatened by extinction if not protected. 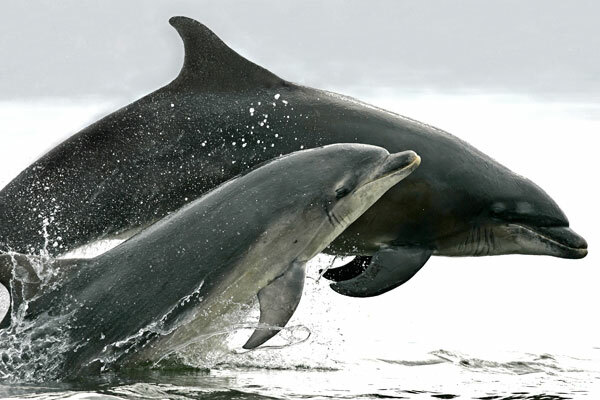 In 2005, WDCS accomplished that part of the Moray Firth was designated by the European Union (EU) a bottlenose dolphin Special Area of Conservation (SAC) and hence a protected area. A result not only for the benefit of the dolphins but other animals inhabiting the Firth such as sea birds, harbour porpoises, otters and seals. Nonetheless the animals are under constant threat from boat traffic, water pollution and the presence of the oil industry. Back in 2008, the UK government discussed to allow the search for oil and gas resources in the Moray Firth again, which the WDCS could successfully prevent for several years. But now the UK Government is allowing two companies to begin seismic surveys for oil and gas in the Moray Firth in autumn 2011. Some of the tests with strong acoustic signals are designated to happen right on the boundary of the Special Area of Conservation.